Do you want your children to be more creative with technology not just watch? Impact Gamers exists to inspire young people to change from just gaming to making and learning to code. Impact Gamers LiVE is a free big screen show for all the family where the audience get the chance to play and compete in games made by local young people. 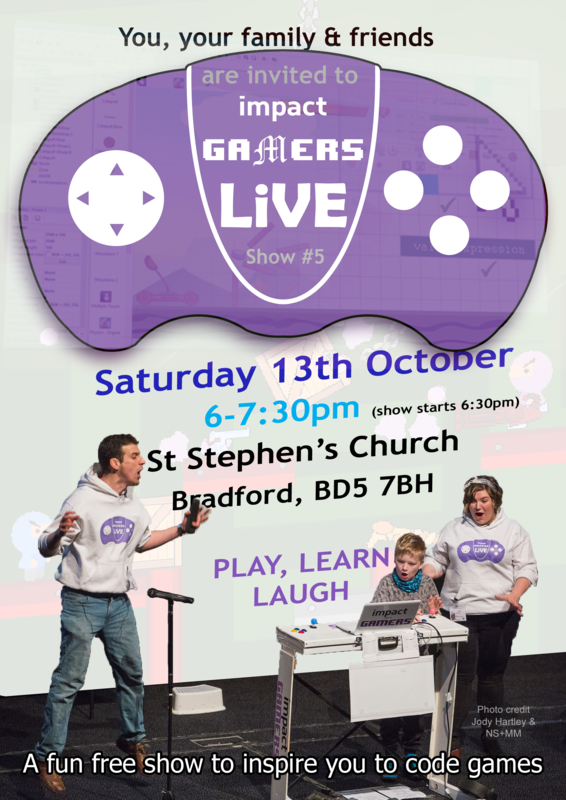 In the show we’ll look behind the games at the code and show you how you can make your own. Come early to practice playing the games that will be in the show, show starts at 6:30pm. Totally free and refreshments provided. 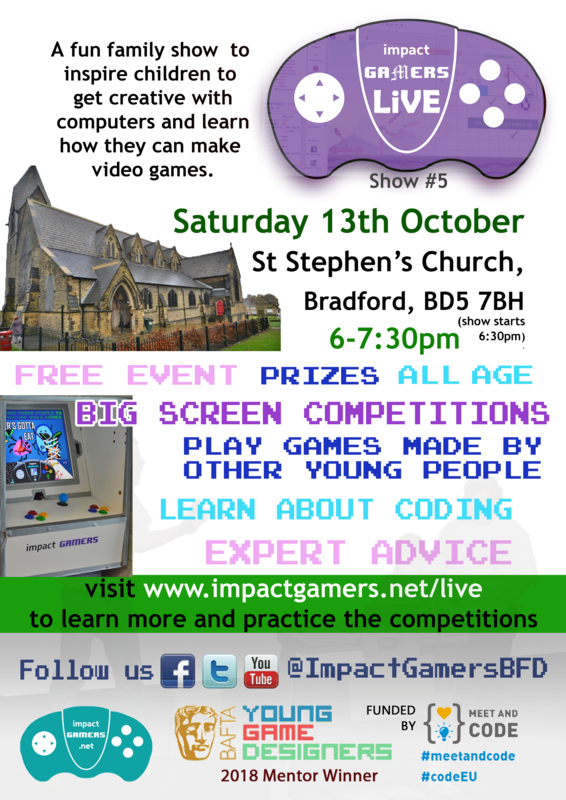 Aimed at 7-14yr olds, but all welcome.